We support the on field sales team through round the clock Marketing and Technical support. We make sure that our team members go through a rigourous Know-How training before embarking on the field.This Strategy has brought us trust among our customers. Solutions to our customers are of prime importance to us. Business from earliest known, have depended upon Market presence, which can be further classified into likes of Geographical presence, Product presence which culminate into Business Network. We have a strong and dedicated team along with dealers all across INDIA. Reaching potential clients & customers is our priority, thereafter the service of existing ones and their retention. High expectation for services and commitment is satisfied by our prompt reaction sales & technical team. We also take necessary steps to maintain end customer reach. 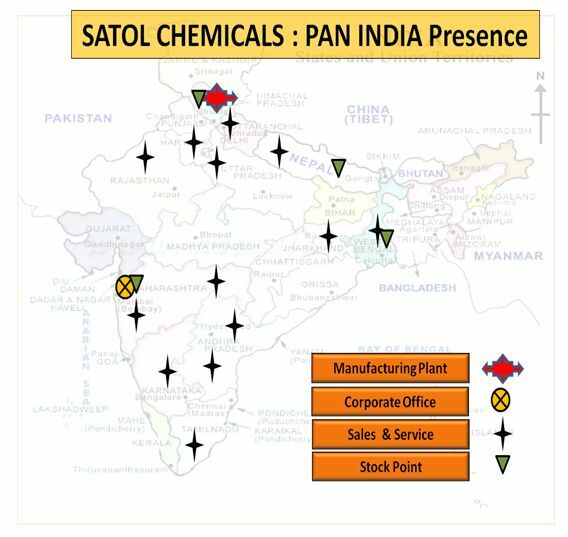 Our Market operations are divided into North, South, East, West and Exports. Our sales team looks after client servicing supported by the technical team.